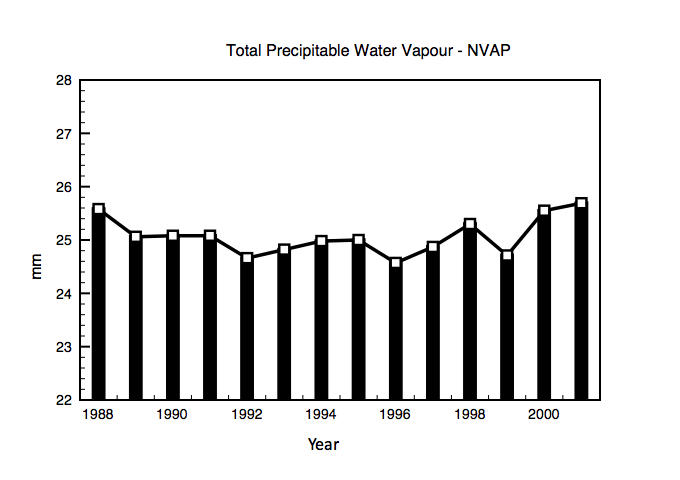 There is no evidence whatsoever in NVAP of any increase in water vapour in the atmosphere during the period 1988 – 2001 during which time CO2 levels increased by ~30 ppm (10%) and temperature anomalies by ~0.3C. 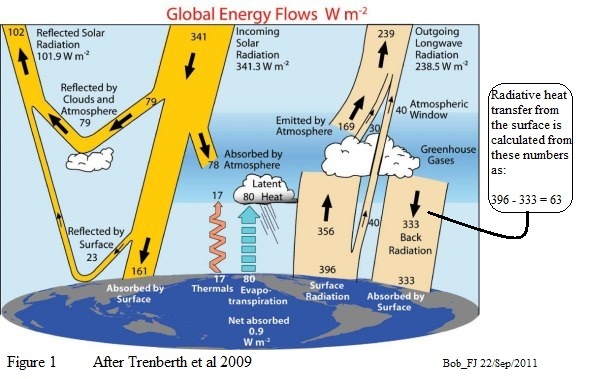 The data show some reduction in water vapour in the radiative crucial upper layers of the atmosphere. Based on this data water vapour feedback looks to be small or even negative. This result is evidence against significant positive feedback from water vapour to CO2 radiative forcing. Small changes in water vapour can completely offset (or enhance) any change in CO2 radiation flux to space. The evidence does not support any trend increase in water vapour with either surface temperature or CO2. 2. 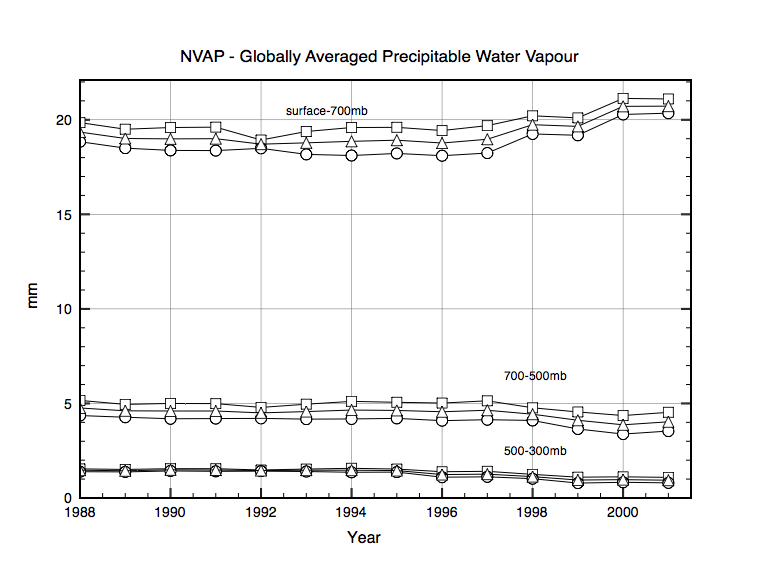 Ken Gregory points out that our water vapour values calculated by the Fortran program supplied give slightly higher values than that quoted in the new paper: Weather and Climate Analyses Using Improved Global Water Vapor Observations. The reason for this is currently unknown. 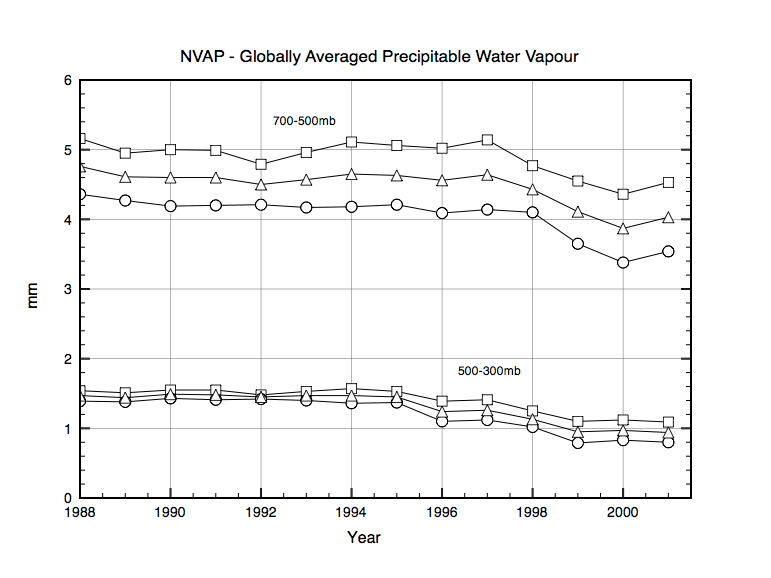 However that paper also shows no increase in water vapour from 1988 until 2010. Another nail in the CAGW theory. But it is like a Vampire, it needs a wooden stake through it’s heart. That first link in the Reference is broken. Any way to fix that? This might be the right link. It would be good to see the data for the critical Hadley Cell latitudes of the southern hemisphere where cloud cover has a big influence on the uptake of energy by the oceans. In the last graph the peak in 1998 is common to other significant data like surface pressure in the mid and high latitudes of the southern hemisphere and 10 hPa temperature over the Antarctic pole let alone the start of the ‘hiatus’ in the progress of global temperature. Unfortunately, rational argument and observation will not suffice. There is no argument, no engagement and no responsibility. And WRT overall CO2 sensitivity according to Kevin Trenberth et al, about 50% of heat loss from the surface is due to evapotranspiration at almost 50%. It would seem that this has a big negative feedback. Unfortunately climate scientists are rather neglectful of this possibility and are all competing over radiative effects. I can’t remember when I first posted the analyses of the NVAP data from Humlum, Vonder Haar and Solomon et al as evidence that the CAGW thing was a load of old donkey droppings, it was several years ago now. Strange how few climate “scientists” seem to admit the implications.